If you don't need 4x4, consider the more fuel-efficient four-cylinder diesel option. The 2015 Mercedes-Benz Sprinter now offers 4x4 for improved all-weather and all-terrain ability, building on its proven strengths as a flexible business vehicle. The 2015 Mercedes-Benz Sprinter van is one of the most highly configurable vehicles currently on sale thanks to a diverse array of options from the manufacturer, and an even more expansive array of up-fitter options in the aftermarket. 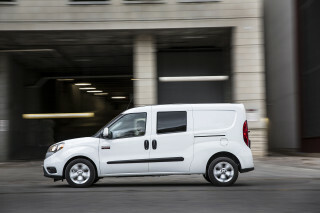 The Sprinter offers a legendarily wide range of possibilities, from luxury people-mover to hard-working utility. 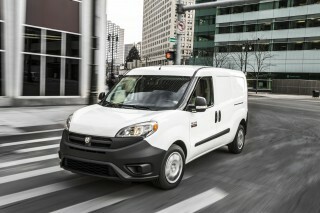 For the 2015 model year, a new 4x4 drive system with low-range function is offered, as well as standard Crosswind Assist. Paired exclusively with the 3.0-liter V-6 BlueTEC diesel engine, which generates 188 horsepower and 325 pound-feet of torque, the new 4x4 option for the Sprinter increases its all-weather and all-terrain capability. The body is lifted by 4.3 inches in the front and 3.1 inches in the rear on 4x4 models as well, increasing ground clearance to afford 20 percent high slope-climbing ability. Activation of the 4x4 system requires a simple button push, which also activates the 4ETS electronic traction system with load-adaptive ESP to help improve its tractive ability. The low-range gear is an optional add-on that further enhances rough terrain and steep slope ability. 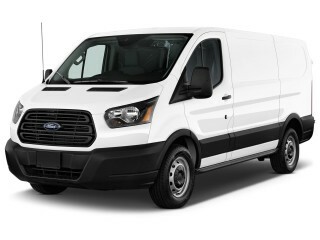 Aside from the new 4x4 options, the 2015 Sprinter carries forward the same equipment, features, and styling as the 2014 model. This includes the visual updates made last year, such as the new front bumper, higher hood, and revised tail lights. Upgrades to available safety technology also carry forward, including Collision Prevention Assist, Blind Spot Assist, Highbeam Assist, and Lane Keeping Assist. Brake Assist Pro and Adaptive Brake Assist further improve accident avoidance ability. For non-4x4 models, a second diesel engine option is available, a 2.1-liter four-cylinder rated at 161 horsepower and 265 pound-feet of torque. Four-cylinder models come standard with a seven-speed automatic transmission. Despite its size and utilitarian roots, the Sprinter can be a surprisingly easy vehicle to drive, navigation sharp corners and offering good visibility thanks to intelligent design and layout. 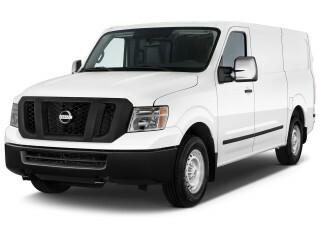 Likewise, it can be quite comfortable, both up front, where improved seat cushions enhance all-day comfort, and in the rear, especially when outfitted with some of the more luxurious configurations available from the Preferred Upfitter program. 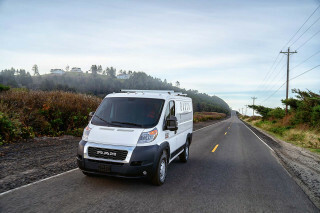 Standard features on the versatile Sprinter van include a 5.8-inch color display, Bluetooth connectivity, SD media input, a USB 2.0 connection, and auxiliary input. A backup camera is available as an option, as is Parktronic parking assist. Navigation is also optional, provided by the Becker MAP PILOT system. The Crosswind Assist system is also now standard, offering aid in keeping the Sprinter in the desired lane during heavy crosswinds. 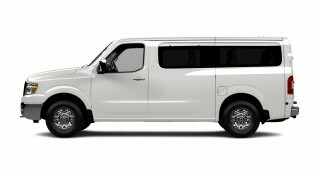 Unlike many vehicles on the market, the Sprinter is available in both standard form and in highly customizable “upfitted” forms. More than 80 of Preferred Upfitters are available to customize Sprinter configurations, from specialized work trucks to luxurious transportation vehicles. 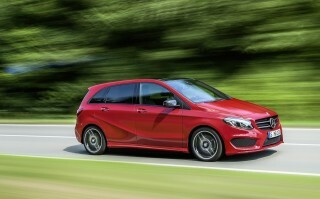 According to Mercedes-Benz, 75 percent of all Sprinters are sold with some form of upfitted modification. 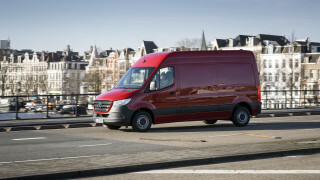 The 4x4 2015 Mercedes-Benz Sprinter goes on sale in the first quarter of 2015. 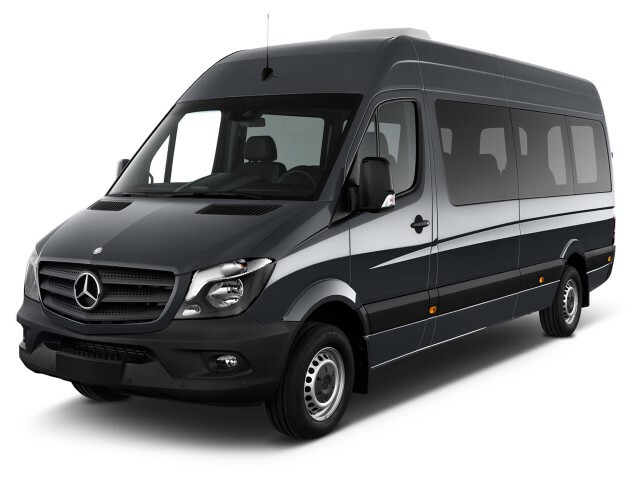 Looking for a different year of the Mercedes-Benz Sprinter?